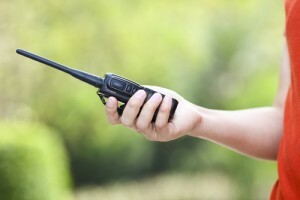 There are two main types of handheld radios in the united states, FRS or Family Radio Service, and GMRS or General Mobile Radio Service. The two types differ in a number of ways, but what many don’t know is that a license is needed for one, and not the other. The Family Radio Service was created in 1996 for use by individuals in close range. The FRS system uses frequency modulation (FM) rather than amplitude modulation (AM) which increases its predictability, as opposed to the CB band. Most FRS systems are found at local sports and hunting stores, and used between family members and friends. They are relatively inexpensive, can be used by anyone and are easy to find. Unlike their more powerful big brother, GMRS, the FRS system is only allowed 500 milliwatts (half a watt) of power according to the FCC. Because of this, their range is very limited. Most FRS radios will work up to about 1 mile apart. Large trees, buildings or hills will interfere with and reduce the range of communication. The GMRS system, as mentioned previously, is like the big brother to the FRS. Like the FRS, GMRS uses FM rather than AM waves to send signals, but unlike the FRS, GMRS can use up to 50 watts of power. Typically though, most GMRS radios use between 1 and 5 watts of power. Their range is a bit better than FRS radios, with typical hand-held devices being somewhere in the 1-2 mile window. Some mobile units with higher antennas can have a range up to 5 miles. Today GMRS radio’s range is expanding exponentially, due to what is known as Wide Area Service. 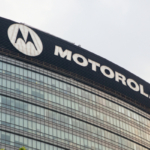 Similar to cell phone towers that are placed all around the country, wide area service providers are placing radio repeaters high atop buildings and other tall structures. Instead of a signal going directly from one radio to another, the signal is sent to the repeater, and then to the intended radio recipient. This repeater service increases the range dramatically, with each individual repeater being able to send out signal up to a 20 mile diameter around it. The range for GMRS radios using repeaters can be up to hundreds of miles. GMRS radios share channels 1-7 with the FRS, but have their own specific channels of 15-22. 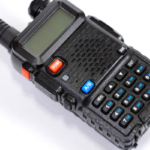 On channels 15-22, GMRS radios are able to be used in duplex mode (where signals can be sent and received at the same time – explained in our previous blog on two-way radios vs. cell phones) whereas on channels 1-7 all radios can only be used on simplex mode. 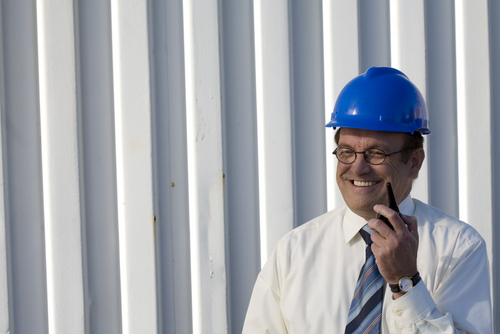 Before 1987, the FCC required that businesses using GMRS radios be licensed. In 1987, this law switched to individual users. Today, anyone above the age of 18 can apply for a GMRS license (no test required). The fee is $85 and the license is good for 5 years, where at which time it can be renewed. Businesses with licenses that were obtained prior to 1987 can still renew for a fee, but new businesses cannot apply as such. Only individuals can get new licenses, and the licenses of businesses that were grandfathered in cannot be changed drastically. In addition to the licensee, their immediate family can also use the GMRS radio under their license. 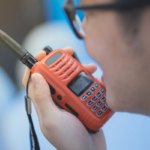 GMRS licensees can communicate with FRS users under the FCC law, along with other GMRS licensee holders. 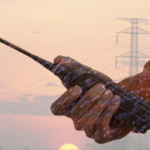 FRS and GMRS Radios, Which One Should I Use?